Last post of this evening. Here are my current WIPs. 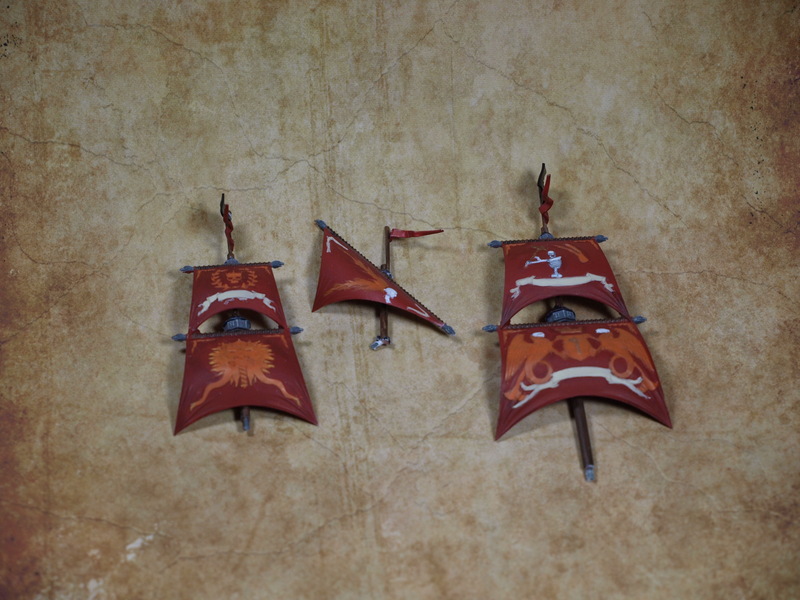 First, some Dreadfleet sails. These are hard to do. Lots of little details and many colors. They are looking better as time goes on, but they are quite time consuming. 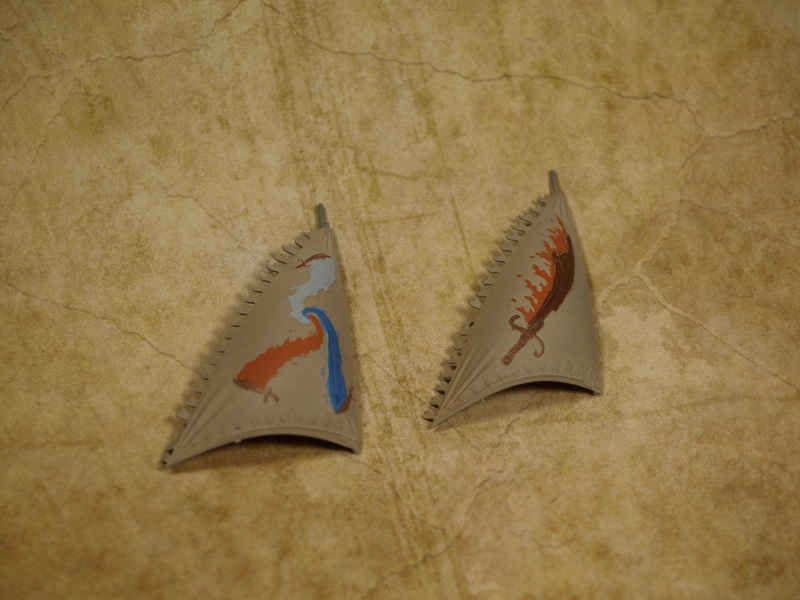 I really want to get these done, but I am distracted by other things. Next up is my current display piece. Very little has been done on him, but I am going to try a couple new things with him. First, with the legs, I think I am going to attempt NMM for the first time. 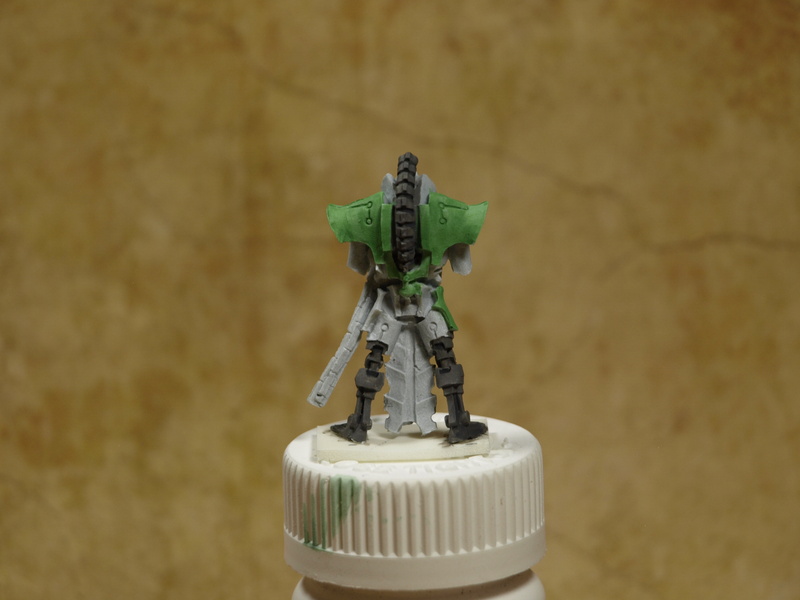 His legs have a current basecoat for a steel NMM. His upper body, which currently is jade, is being setup for some weathering effect using the “salt technique.” I need to coat him a couple more times, maybe darken the green a tad more, and then I will salt him up, and work on a copper NMM on him. He will be a challenge to say the least. 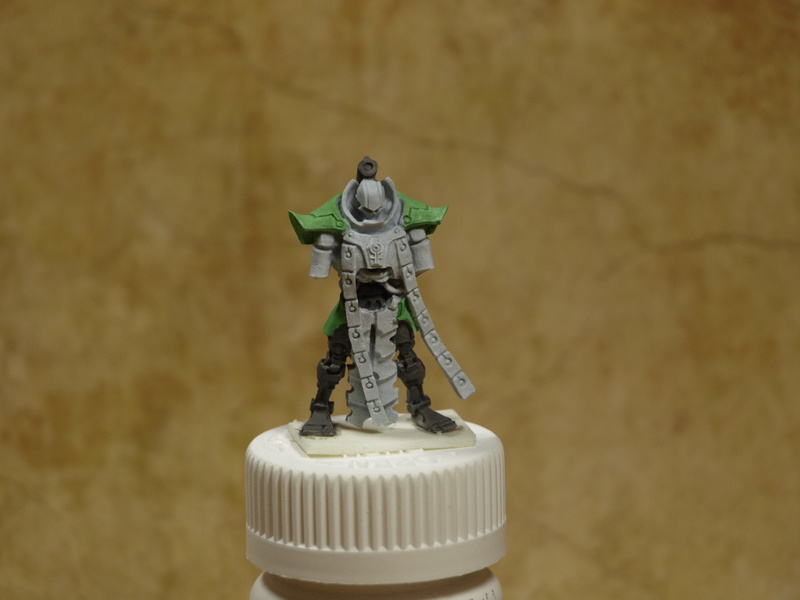 I don’t know if my skillset is ready for NMM yet, but you can’t learn it if you don’t do it. He is my first “finecast” mini, and so far, its not too bad. My only complaint right now is that he is very delicate, and removing the mold lines (which always seems to appear and grow after priming and painting) has been harder than expected as I don’t want to break him. Plus, I keep missing lines.